From its foundation as America's first international airline on October 28, 1927, to its peak in the 60s, and throughout the remainder of the 20th century, Pan American Airlines represented luxury, glamour and limitless possibilities. 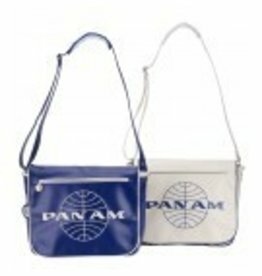 Adored by celebrities, rock stars and the International elite, iconic Pan Am was made famous by its Clippers, first-class amenities, stewardesses, and of course, the Pan Am bag. Carrying a Pan Am bag signified the prestige of a privileged lifestyle, a certain freedom achieved when the ends of the earth are suddenly within reach. During the 60's, the bags were presented to Pan Am first class passengers at check-in. In the 70's, they were also given out, but only to those who knew to ask. Among the rich and the famous, fans could spot the Beatles, JFK, Judy Garland, Joe DiMaggio, the Fondas and more toting their Pan Am bags along with them across the globe. Long after the airline closed its doors, the legacy lives on. The Pan Am brand of today lives for fashion, adventure, and the thrill of the journey – no matter what your mode of travel. 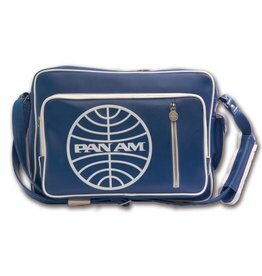 Pan Am offers vintage and contemporary bags, luggage, apparel, accessories and more. So explore, discover, and let the world be your runway. 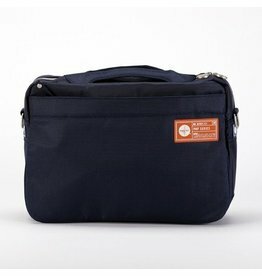 For the traveler who has every gadget comes the ultimate Pan Am laptop bag. 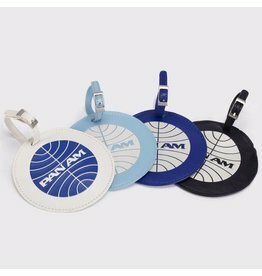 Never search for your luggage again with a Pan Am Luggage Tag. The traffic picks up where the Uni left off with styling cues from the original bag now embodied in this smart and fun little bag. Complete with a self locating magnetic clasp, getting in and out of the traffic is a snap! 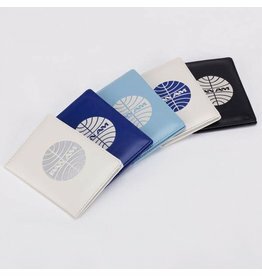 Travel in style with a Pan Am Passport Cover. Available in 4 Pan Am signature colors. 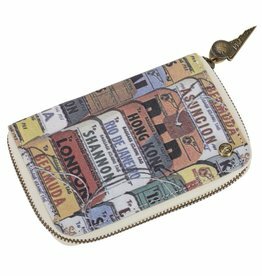 Travel in style with this zippered Pan Am Passport Cover. 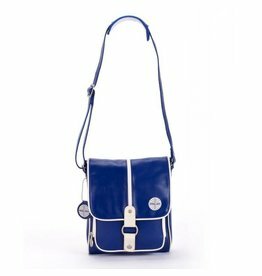 Sling your stuff across town or around the world with the Pan Am Messenger bag.